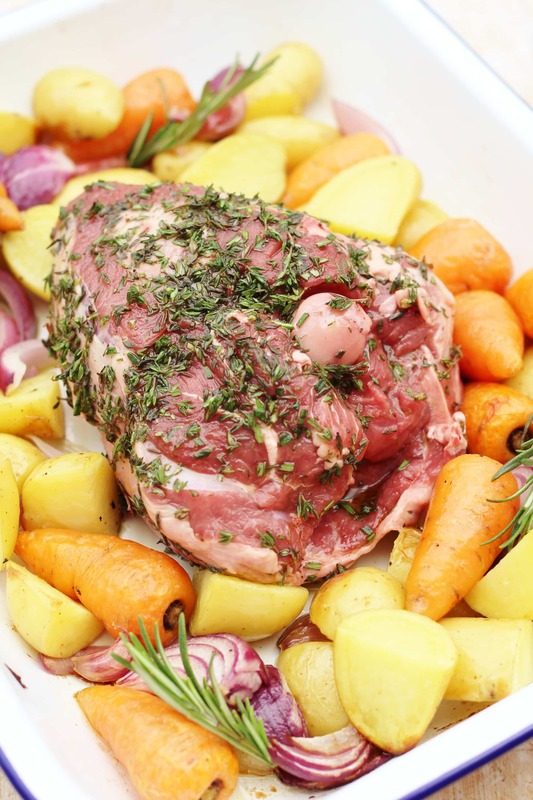 Place a rack in your oven pan ( this collects all the tasty juice from the roast Lamb use it later to make a smashing gravy). Place your veggies on the bottom of your Roasting pan. 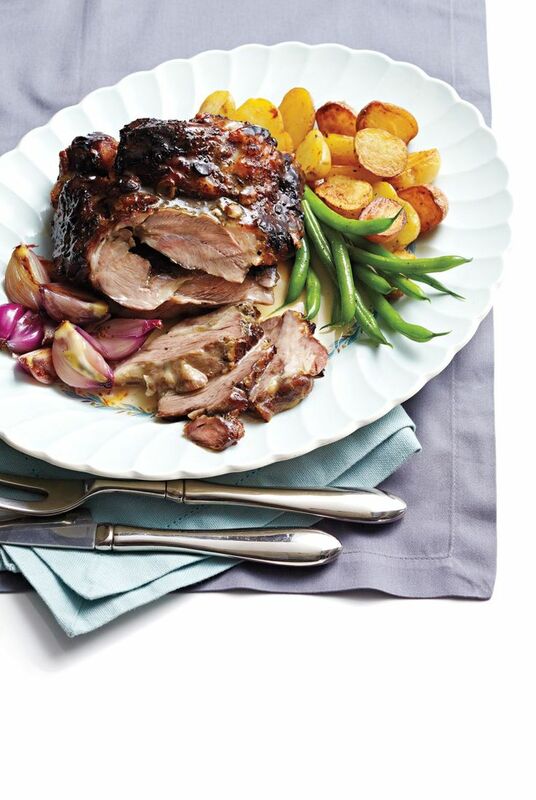 Place Lamb on top of veggies and put it in the oven cook for 20 minutes @ 230°C (45°F).